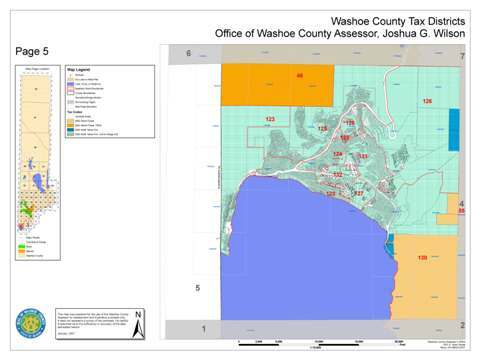 The Mapping Division of the Washoe County Assessor's Office maintains a complete and accurate set of Washoe County cadastral maps that show the location, size and boundary of every land parcel in the county. 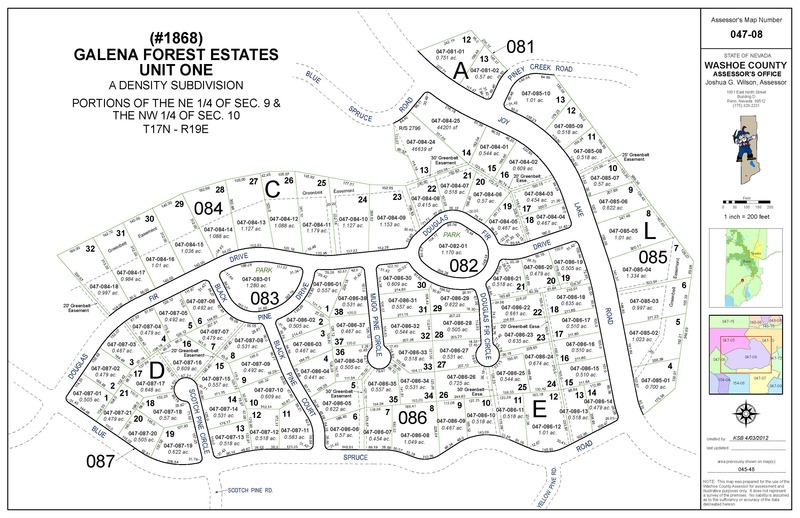 The staff in the Mapping Division can provide copies of Assessor's maps and explain the information we have used to map a particular parcel's boundary. 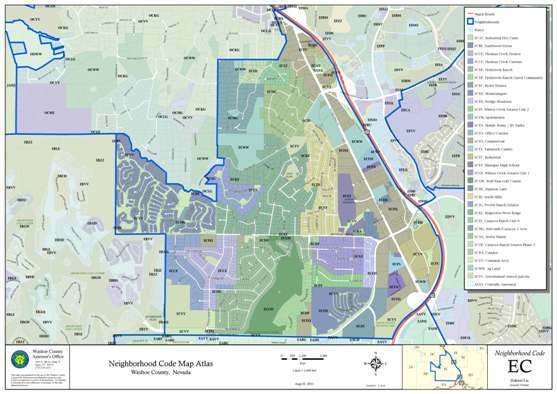 In addition to maintaining the official Assessor's parcel maps, we also have specialized sets of maps that show appraisal neighborhoods and tax districts. In 2008, the Washoe County Assessor's Office upgraded its assessment mapping system to ArcGIS Geographic Information System software by ESRI. 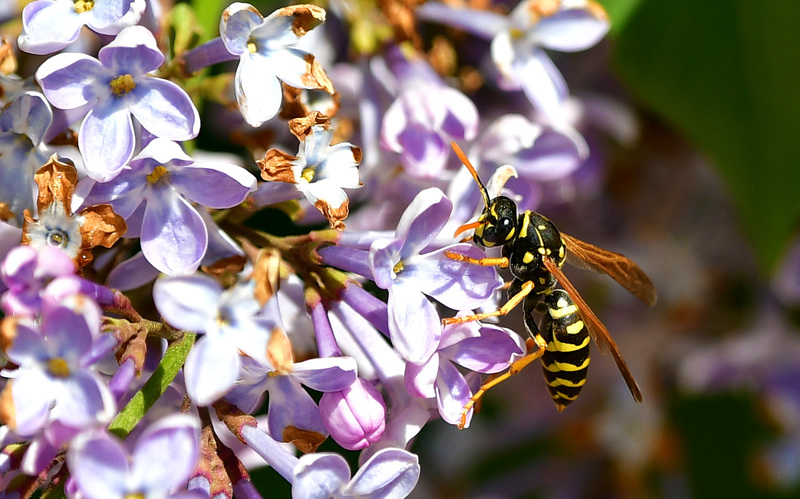 ArcGIS software is a component of Washoe County's Geographic Information System which provides current and relevant spatial information to Washoe County's constituents, governmental partners and staff. In addition to using GIS data for analysis, many GIS personnel contribute data that is used not only by their respective offices, but is shared in multi-user GIS databases. The mapping staff in the Washoe County Assessor's Office maintains the countywide parcel layer which is the basis for all maps produced by the Assessor's Office. The Washoe County Assessor's Office is mandated by law to follow the guidelines set forth by the Nevada State Department of Taxation. The Assessor's parcel number is the basis for Nevada's assessment mapping system. This assessment mapping system identifies and inventories land and gives assessors the simplest form of property description. Although simple in concept, it is infinitely flexible and, if handled properly, completely expandable even in areas of rapid population growth. It is a specific series of numbers, in lieu of a full legal description, that identifies or represents a parcel for assessment purposes. The first three digits, in this case 520, represent the Assessor's map book number. The second three digits, in this case 234, represent the page and block numbers with the first two being the page number and the last digit being the block number. The final two digits, in this case 22, represent the parcel itself. In the event that a parcel is divided into 2,3 or 4 new parcels, new parcel numbers must be assigned to the new parcels. Only the last two digits change. For example: 520-234-22 becomes 520-234-23, 24,25,and 26. When a parcel is subdivided in to more than 4 parcels, the new parcels are usually put on a new page and the last 5 digits change.